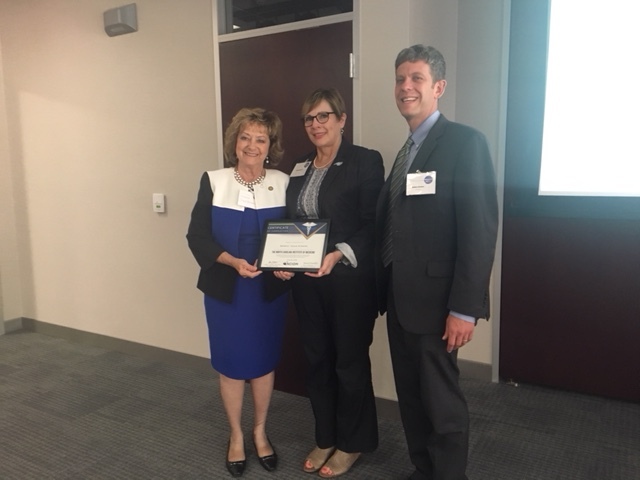 NCIOM CEO Adam Zolotor (right) poses with one of the Fellows, Sen. Joyce Krawiec (left) and NCIOM Board Chair Kim Schwartz. Health spending accounts for almost one-third of the state budget and is one of the most important policy areas in which lawmakers work. While most legislators come to office with little or no experience in health or health policy, they are charged with making laws that impact the health and well-being of all North Carolinians. As members of the North Carolina Institute of Medicine’s inaugural class of Legislative Health Policy Fellows, state legislators came together at the North Carolina Institute of Medicine for three full days this spring to learn more about urgent health issues, engage with local and national policy experts, and build relationships across the aisle in an effort to make the best health policy decisions for our state. They were engaged, inquisitive, and yes, at times, argumentative as they learned and debated about many pressing health policy issues. We sought to develop a curriculum that would increase legislators’ base of knowledge about health policy, enhance their relationships with policy experts, and help them to identify resources they can use when developing new laws. Another Fellow commented on the value of getting to know colleagues outside of the legislative building, learning about their families, their other jobs, and their mutual policy interests. When these legislators rolled up their sleeves to study an issue (opioids, Medicaid, rural health, private insurance, care for older adults, etc.) their concerns were the same—they were all focused on the health and well-being of their constituents. While legislators’ health policy solutions differ, they all shared the goal of learning and improving relationships to better serve the people they represent. At the closing reception on June 18, NCIOM president and CEO Adam Zolotor shared the first policy issue brief created specifically at the request of legislators on recruitment and retention of health care providers in rural North Carolina. The topic of this brief was timely: HB 998, passed by the NC General Assembly earlier this month, aims to identify ways to incentivize health care providers to practice in rural areas of the state. We applaud these legislators for their commitments to their jobs, to the health of North Carolinians, and to a focus on solutions: Representatives Ball, Black, Cunningham, Hurley, Murphy, Potts, Terry, White, Willingham, and Senators Bryant (former), Horner, Krawiec, Lowe, Pate, Tarte, and Woodard. The Legislative Health Policy Fellows program is funded by the Blue Cross and Blue Shield of North Carolina Foundation, Cone Health Foundation, the Commonwealth Fund, and The Duke Endowment. 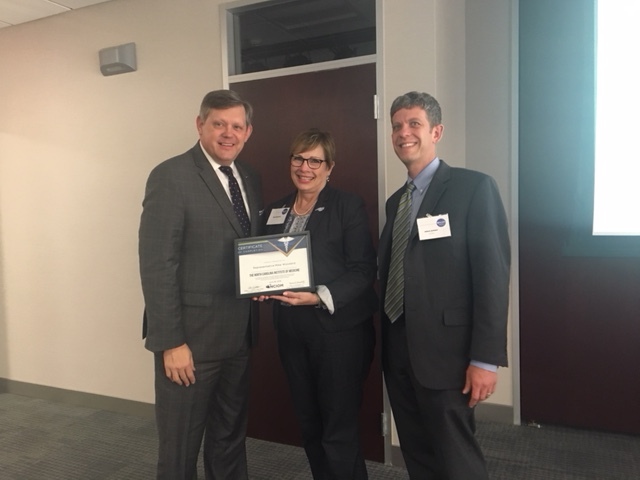 NCIOM CEO Adam Zolotor (right) poses with one of the Fellows, Sen. Mike Woodard (left) and NCIOM Board Chair Kim Schwartz. Medicaid in North Carolina: What is Over the Horizon? This issue of the NCMJ discusses aspects of the newly proposed system, potential challenges to implementation, and how this new Medicaid system might impact population health.